Morning - Kick off your day with breakfast at Cafe 157. This quaint eatery serves up not only good food but houses an art gallery and gift shop with creations from local artists. For the late risers, you&apos;re in luck. Cafe 157 serves breakfast until 2 p.m. 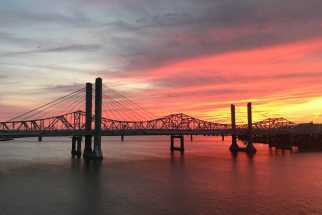 Noon - Hike or bike the Ohio River Greenway pathway and tour attractions and shops in Jeffersonville, New Albany and Clarksville along the way. Grab your camera. You&apos;ll see great views on this route of the Louisville skyline, public art spaces and a few of our historic landmarks. Evening - Go rolling on the river by way of the Belle of Louisville or Mary M. Miller riverboats. Take a relaxing two-hour sightseeing cruise on a piece of American history. The cruises include an optional buffet lunch or dinner, dance floor, and bar. Night - Sit back and relax at The Exchange Pub + Kitchen. During the warmer months, you&apos;ll find most folks sitting outdoors enjoying the plush patio furniture around the fire pit enjoying a cocktail or two. And as they say, "when in Rome." Morning - Start your day with a bagel and coffee at The Widows Walk Ice Creamery and Bicycle Rentals (Clarksville) found right on the Ohio River Greenway. This bright yellow, charming Victorian-style home is a local favorite, serving up sweet treats since 1998 and a great place to relax and take in the riverfront views. Noon - Just a stone&apos;s throw away is Ashland Park (Clarksville) which features a playground, picnic areas and a great view of the locks and dams across from the Falls of the Ohio State Park. 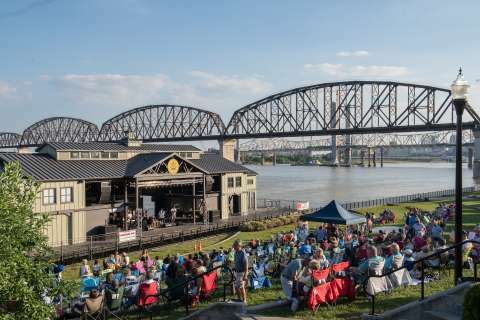 Evening - If you&apos;re in SoIN between April and September, you&apos;ll want to check out Waterfront Wednesdays, a free concert series on the Big Bridge. The event occurs on the last Wednesday of the month featuring a new band and a children&apos;s activity area. On Saturdays from June through September, enjoy free concerts on the RiverStage in downtown Jeffersonville. Night - Take a romantic stroll on the LED illuminated Big Four Bridge. 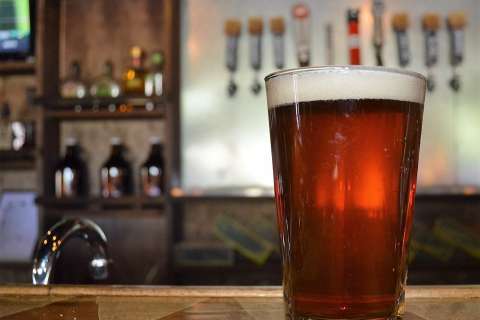 Stay overnight at one of our riverfront hotels or have a nightcap at our many bars or pubs to close out of the day. Morning - Eat breakfast or grab a coffee and muffin at Cricket&apos;s Cafe in Sellersburg or Too Tired Coffee Tea and Treats in Jeffersonville. Noon - The colorful tank will invite you to explore NoCo, Jeffersonville&apos;s new Arts & Cultural District. 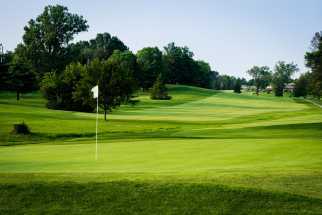 This vibrant district is one of three newly designated districts in Indiana. It&apos;s named "NoCo" because it is the area "North" of "Court". Evening - Head to dinner at one of downtown Jeffersonville&apos;s restaurants and enjoy the culinary arts. You can enjoy creative decor along with scrumptious dishes at Portage House, Parlour, Olive Leaf Bistro, and many others. Night - Head to Derby Dinner Playhouse for an evening of musical comedy and rousing show tunes. There&apos;s also Clarksville Little Theatre, one of the oldest community theaters in the nation. Morning - Head to New Albany for a coffee in the alley at Quill&apos;s Coffee. There you can admire the alley cat astronauts mural. Noon - Stroll over to The Carnegie Center for Art & History and enjoy free admission to its changing and permanent exhibits. If it&apos;s a Saturday, check in to see a family workshop and let your creativity shine. From there you&apos;ll be right by New Albany&apos;s shopping district where you&apos;ll find apparel, home decor, consignment goods, antiques and gift shops. Evening - You&apos;ll find a plethora of options for lunch or dinner in New Albany, which is known for its thriving restaurant scene. You&apos;ll know you&apos;re there when you see the Fork in the Road, a sculpture on Market Street. Continue to Main Street to stop and see the rotating art shows at the James Bourne Gallery. Night - Visit the Arts Alliance of southern Indiana and ArtSeed. 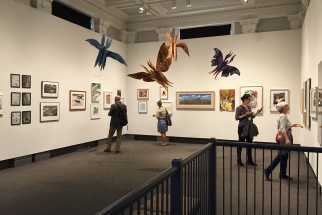 Both art organizations help cultivate the area&apos;s art and artists. If neither of those attractions sounds appealing, enjoy a show at TheatreWorks or the Ogle Center. Morning - Enjoy a donut or breakfast sandwich at one of the many well-known sweet shops in downtown Jeffersonville&apos;s historic district. You&apos;ll find delicious goodies at Adrienne&apos;s Bakery Cafe, Sweet Stuff by Morgan, or Geraldine&apos;s Kitchen. Noon - After breakfast, check two states off your bucket list with a walk across the Big Four Pedestrian and Cycling Bridge. 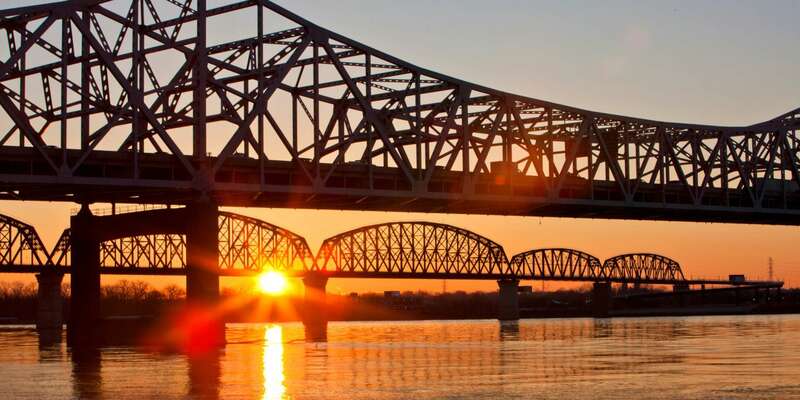 Start at Big Four Station Park and take the mile-long walk across the Ohio River into Louisville. If your child is a fan of playgrounds (and who isn&apos;t? ), check out the swings, slides and merry go rounds at Big Four Station Park&apos;s playground. Just up the street are some lunch options such as Red Yeti Restaurant, Cluckers, and Parlour. Evening - Children of all ages love the shelves of candy at Schimpff&apos;s Confectionery in Jeffersonville. Make sure to call ahead to see when candy demonstrations are held. 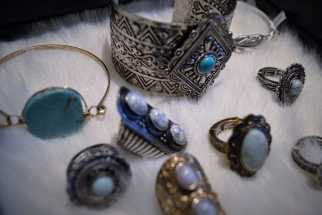 The antique equipment used has been in operation since the company began in 1891. Best of all, you&apos;ll get a red hot (or a lemon drop) after it&apos;s made! That&apos;s some sweet history. Night - Head north on Spring Street and check out the colorful NoCo Arts & Cultural District. The parking lot is the site of the Vintage Fire Museum. What child doesn&apos;t dream of being a firefighter? At this museum, your kids can discover fire engines from years ago, and they can get a glimpse of life before dialing 9-1-1 was a thing. 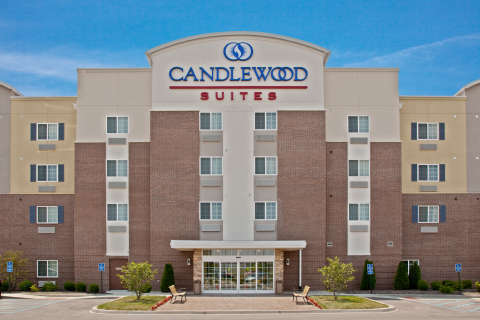 Enjoy dinner at one of our nearby family-friendly restaurants and then stay overnight at a southern Indiana hotel. Morning - Call ahead to see what shows are playing at Derby Dinner Playhouse in Clarksville. The whole family can enjoy wholesome entertainment with its popular Children&apos;s Theater program. The dinner theater&apos;s performances serve either breakfast or lunch. Next, travel millions of years back in time and explore the interactive exhibits of the Falls of the Ohio State Park. These exhibits tell about the ancient creatures that lived here when this area was covered by the sea. When the river beds are low, the remnants of those creatures can be seen in the fossil beds, only a short hike away from the interpretive center. Noon - Enjoy lunch at one of SoIN&apos;s family-friendly restaurants in Clarksville on Lewis and Clark Parkway or Veterans Parkway. Evening - If your kids love pools, they&apos;ll find a splashing good time in our aquatic parks and family fun areas. Check out New Albany&apos;s RiverRun Aquatic Center, Clarksville Cove, or the Jeffersonville Aquatic Center. Charlestown&apos;s Family Activities Park has a splash pad and many other kid-friendly things to do as well. 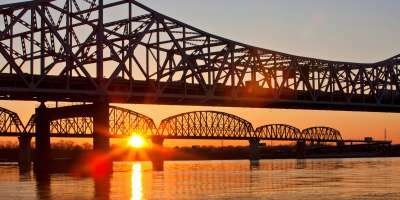 Night - On Friday and Saturday nights in the summer months, you&apos;ll find family-friendly movies at the RiverStage in Jeffersonville, Gateway Park in Clarksville or one of New Albany&apos;s parks. Or go "old school" and visit the Georgetown Drive-In to see what the first run movies are playing. Southern Indiana is So In.